Santoshi Devi, one of the members of Senior Level Teacher Trainer TriYoga Team, is revealing her impressions from the latest trip to Spanish Granada. Santoshi has been travelling worldwide for over than 10 years generously sharing the happiness and knowledge of TriYoga Flows in more than 20 countries in Europe, Asia, Australia and North America. 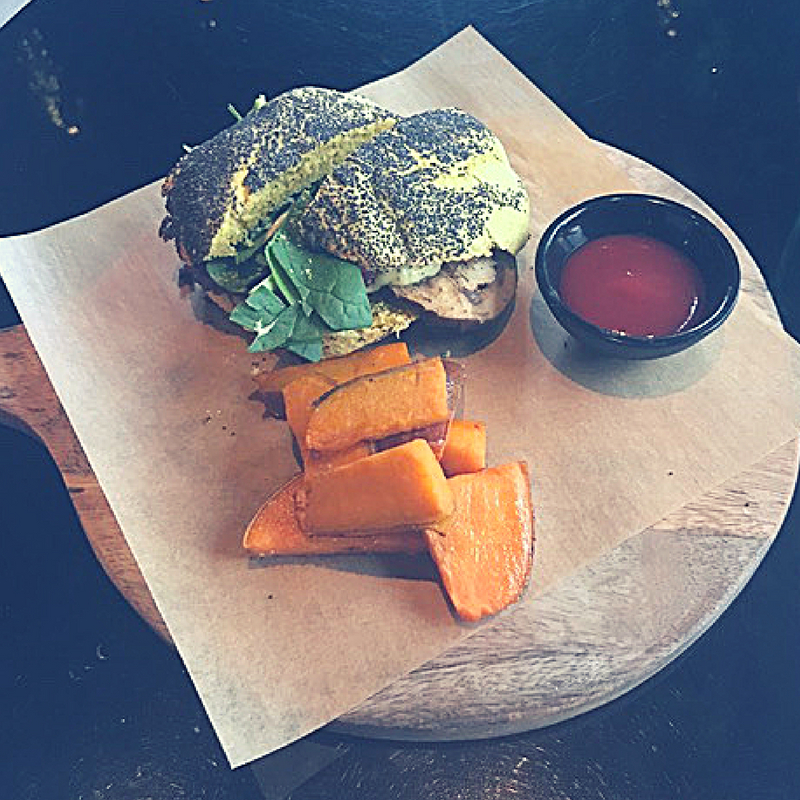 Intensive travelling schedule is not an obstacle to keep and enjoy the vegan life style. Often people think it’s so HARD to be vegan on the road. But it’s not — it’s never hard to be compassionate, it’s never hard to be loving, and it’s never hard to find delicious, nourishing foods. Everywhere in the world, people eat some grain (rice, corn, wheat). Everyone eats root vegetables and leafy greens. Every climate has delicious fruits that come out at different times of year. Nuts and seeds are available, and delicious, world-wide and year-round. 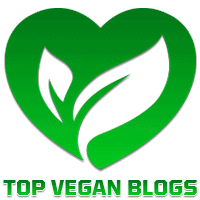 And beyond that, there are more and more restaurants, cafes, bodegas and stands offering vegan options or even fully vegan menus. Recently, on a trip to Granada, two very delicious vegan restaurants offered varied experiences— and delicious foods. 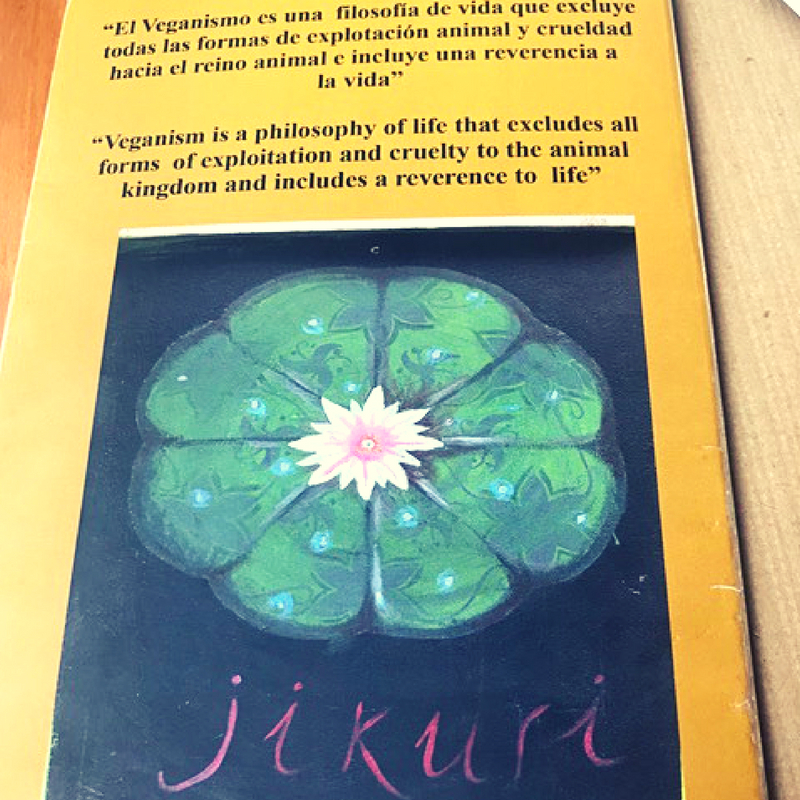 Spotted from the hop-on/hop-off tourist bus in Granada— a vegan restaurant: Jikuri! A cozy, family place with quiet music and a little hippie vibe. 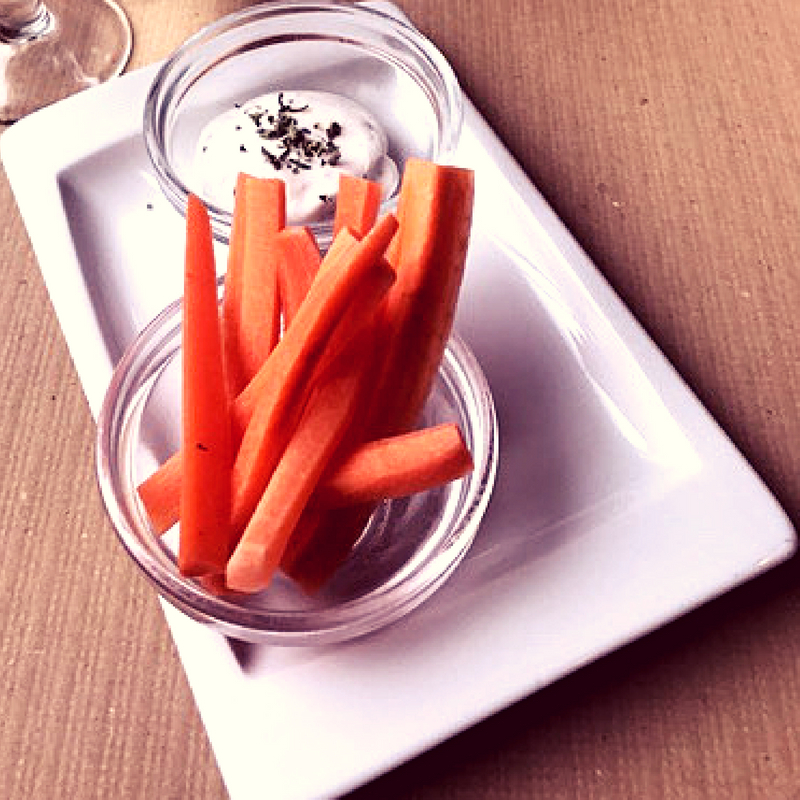 The appetizer seemed so simple— just carrot sticks, but the house-made mayo was Delicious. Crunchy sweet carrots with creamy, garlicky cool. Oh Yum. And then the main … Oh My. 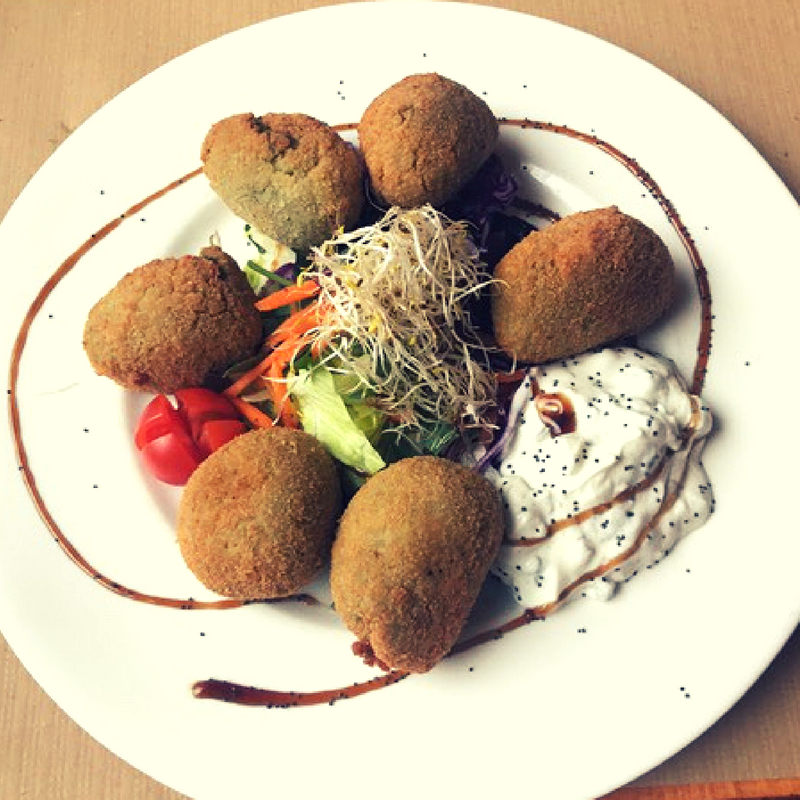 Spinach Croquettes, a Spanish specialty, made even more delicious and light. Spinach and béchamel sauce, lightly breaded and fried, with a tangy housemade tartar sauce. The light sprouts and tomatoes were a perfect counterpoint. He also recommended a carrot cake~ i was too full to have then but took back to the pension for a late night treat. Maybe the best I’ve had— the cake was light like a sponge, and the frosting just exactly sweet enough. Topped with shaved carrots like a party hat. Again I asked the waiter (hip, handsome, speedy), What’s Your Favorite? I’d like that, please! 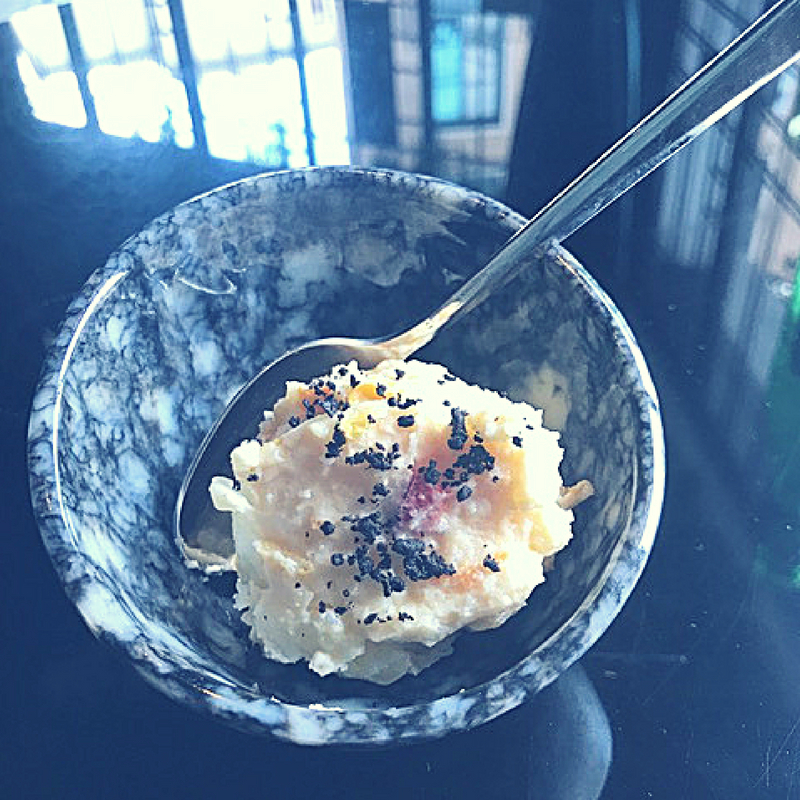 First a delicious starter— light and cool potato salad with black sesame. Nice. Delicious— made with beets and 2 different kinds of lettuce, and, my favorite, some grilled zucchini and eggplant. Very unique and very Tasty! So the recipe is also about the summer Spanish classic – cold raw vegetable soup gazpacho which perfectly fits for the hot days. Large portion can be prepared in advance for a couple of days and to be hold in the fridge. Apparently gazpacho is getting deeper taste of vegetables while “aging” for an extra day or two. Skin off the tomatoes. Pouring boiled water over tomatoes will help easier to skin them off or just use a vegetable peeler. Cut the bell paprika lengthwise and seed it off. Peel off onion and garlic. 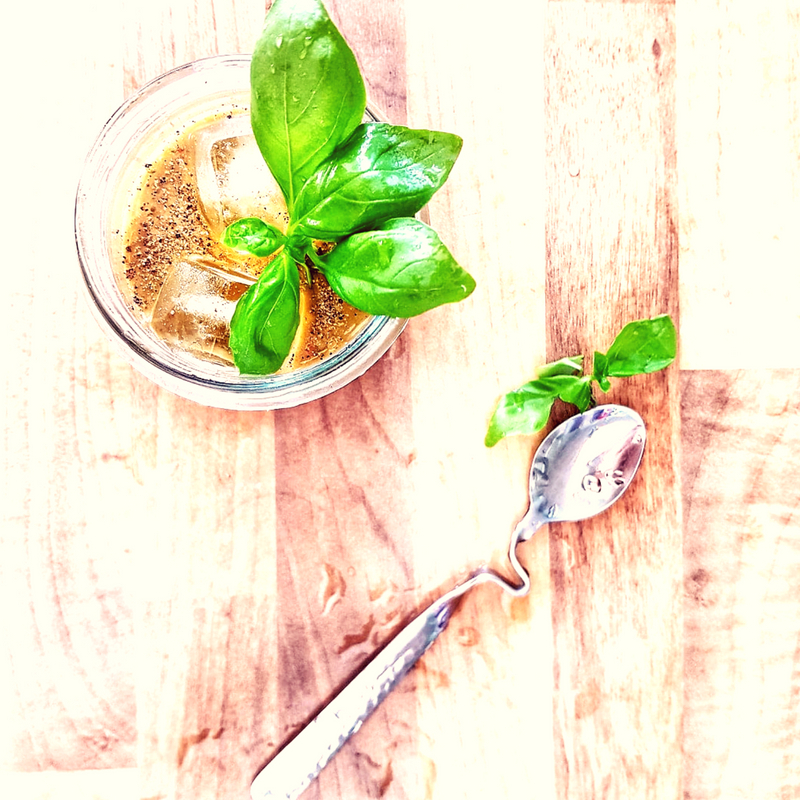 All ingredients cut into several pieces, basil leaves take off from the sprig, place in blender and mix it in the smooth mass. If it is getting too thick, just add a little bit water to the taste. Add a couple of ice cubes right in the plate to serve. 3 rules how to eat in India. 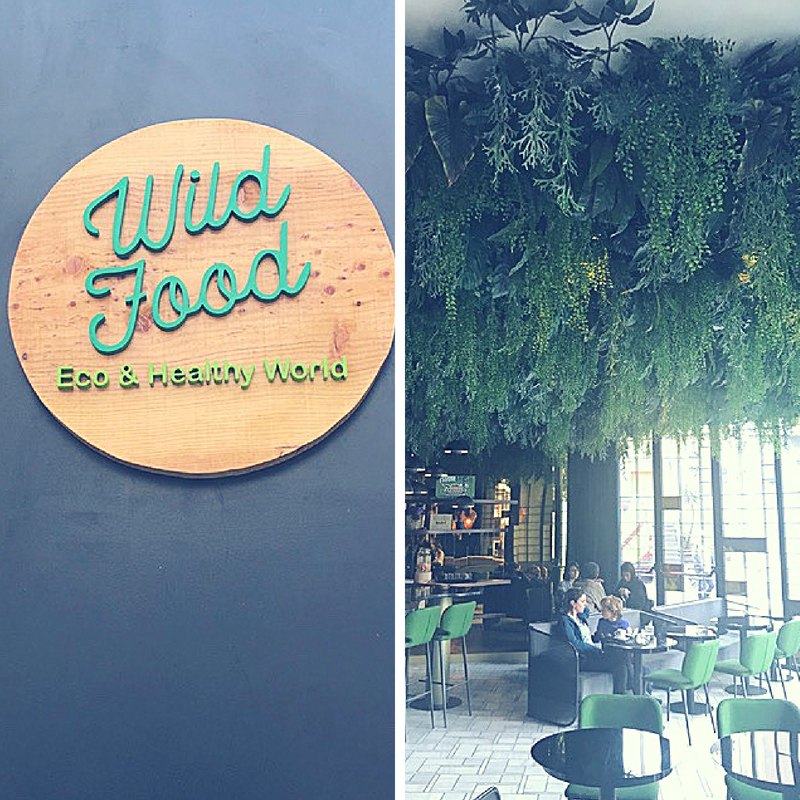 How to find a vegan restaurant in an unfamiliar city.